Artisan gifts made in Illinois just in time for Valentine’s Day. 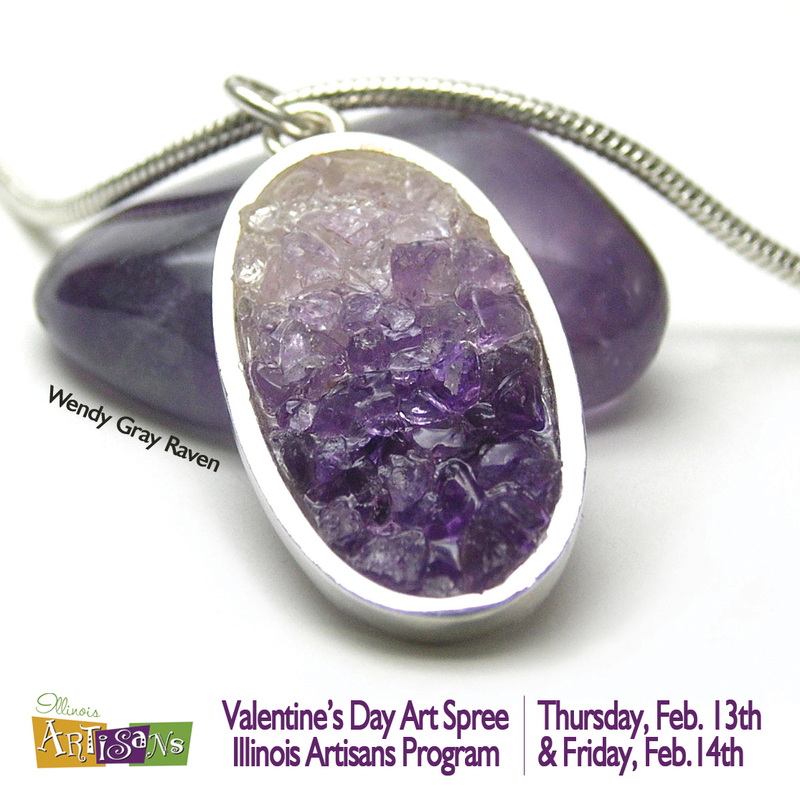 The Illinois Artisans Program presents its monthly art spree which brings the best in local craft and fine art to the public in the Atrium of the James R. Thompson Center. Visit with the 18 artisans, watch craft demonstrations and browse gifts all made in Illinois. This month highlights a large selection of jewelry, winter fibers and paintings. This entry was posted in Openings and Events and tagged Chicago, crafts, Valentine’s Day. Bookmark the permalink.